Bryony Page from Sheffield Trampoline Academy is the new British champion after taking the title over two days of competition at Arena Birmingham. 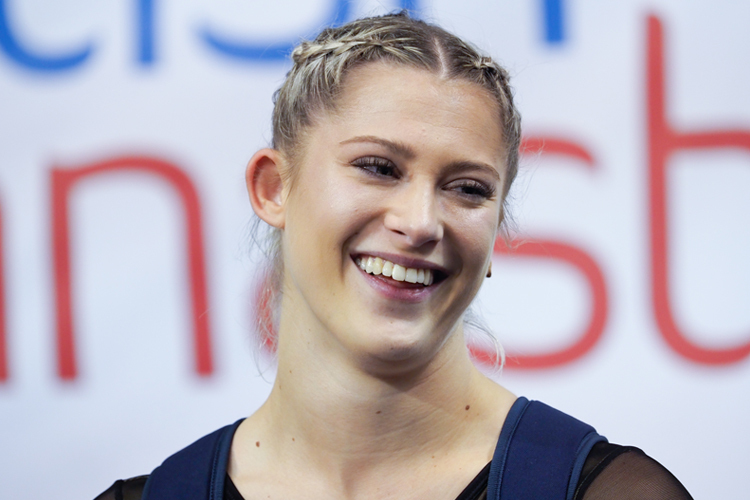 Since taking Olympic silver in Rio two years ago, Bryony has had time out through injury, but returned to the British Championships for the first time since 2016 to claim a fantastic gold. Leading over night after her first two routines, Bryony’s final routine made sure of the title, as she showcased all of her skill for a total score of 159.165 to become British champion for a fourth time. Bryony was pushed all the way by Kat Driscoll from Apollo who was competing in her 22nd successive British Championships. Kat scored 157.380 to take silver, with defending champion Laura Gallagher from Quayside taking bronze with 154.880. Bryony said: "I'm really happy! After a few years out it’s very special for me to compete again at the British Championships, to have the home crowd who have been so supportive to me during my rehab from injury cheering me on. "To be able to perform to that level over three routines gives me a lot of confidence heading in to the World Championships coming up. There's lots to improve and work on and I’m really excited to keep progressing." Luke Strong (City of Liverpool) retained the British title that he won in Liverpool last year thanks to his consistency over his three routines. He was also leading after the opening day but had to fight hard through his final routine for a total score of 165.660 which was enough to win by nearly three marks. Olympic gymnast Nathan Bailey from OLGA Poole had a difficult opening day but recovered brilliantly with an impressive final routine on Sunday to take silver with a score of 162.860. 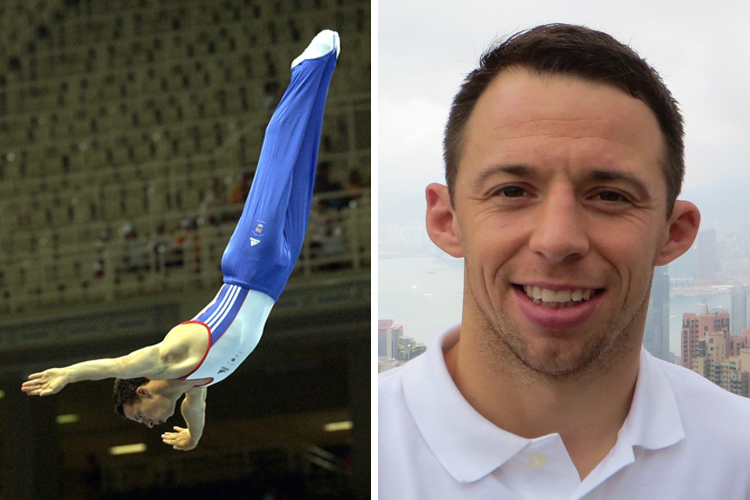 The top three was made up by City of Liverpool’s Alex Bradshaw who took bronze with 160.970. Luke said: "I'm so happy to win the title again. This is my 4th time so this is more than I thought I'd ever achieve so I'm so happy. I fought to the end and dug in when it wasn't perfect so I'm happy to get 10 skills." In the senior men’s tumbling, it was world bronze medallist Elliot Browne from Wakefield that took gold, becoming senior British champion for the first time. Elliot qualified in top spot and made sure of a dominant weekend with two impressive runs on the final day, scoring a total of 153.800 to make sure of the title. Former world champion Kristof Willerton from Andover took silver with 149.700 and City of Birmingham’s Jaydon Paddock, who has recently turned senior, won bronze in front of his home crowd with 146.700. Elliott said: "I can't believe it! All of the training has paid off and I'm so happy how it's come out. I've actually been training that pass for a while now (his second pass on Sunday), and competitively I haven't hit it properly yet, and this was the first comp where I did it right." 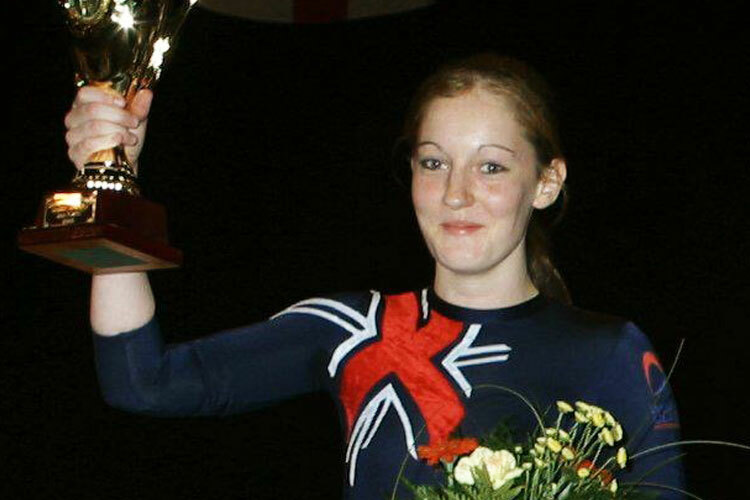 Rachel Davies from Durham was crowned British champion in the senior women’s tumbling competition, topping the scoring in all but one of her four runs over the weekend to finish with a total score of 136.400. Taking silver was Megan Kealy (134.100) from Milton Keynes with Shanice Davidson (131.600) coming away with the bronze medal. Rachel said: "It feels incredible, I can't believe it's real, I think I'm dreaming! It was a tough competition out there today but I managed to get it and I'm really proud." 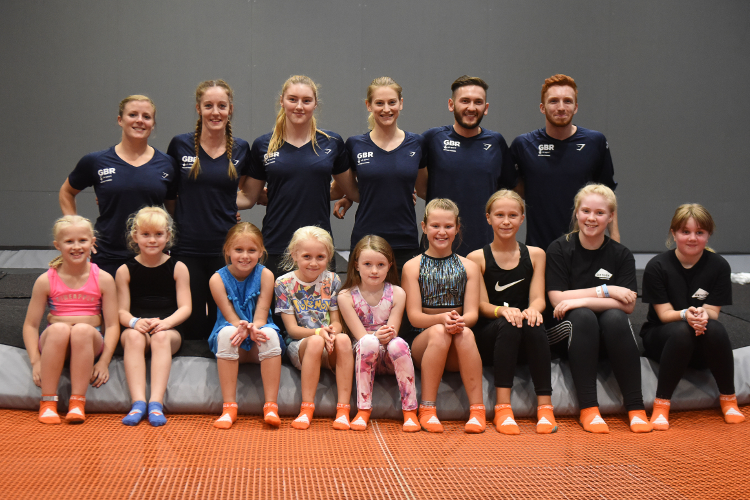 Two new champions stood at the top of the podium in the men’s and women’s double-mini trampoline competitions. A joyous Kim Beattie (134.200) from Banchory impressed throughout the weekend and took the title ahead of Bethany Williams (133.700) from Birkenhead and Kaitlin O’Brien (131.200) winning silver and bronze respectively. Kim said: "It's been such a tough year, I've battled through injury, I've lost some skills, it's just been really tough, so to finish the season off like this is just amazing. I was just amazed, I just started crying!" And it was Ryan Devine from Flight Gymnastics who came out on top of a high-class field in the senior men’s DMT competition. Ryan (145.400) was second going in to the final day, but pulled out two brilliant passes to secure a first British title. Rhys Gray from Jumpers finished second with 143.200 with Harrison Green from City of Leeds in third, scoring 142.500. Ryan said: "Yesterday I didn't go too good but I did enough to get through to the finals and smashed it today. I trained to win and I always believed in myself to win so I'm happy." Over 400 gymnasts from 80 clubs across the UK took part in front of a crowd of 3,500 at Arena Birmingham. 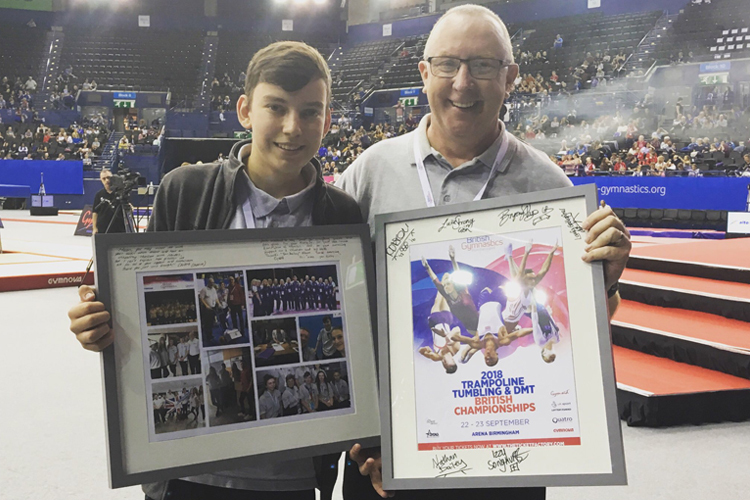 Champions of all ages were crowned, and Jane Allen, Chief Executive Officer of British Gymnastics said: "I am thrilled to see so many talented athletes perform at such a high-level at the Trampolining, Tumbling and Double Mini Trampoline British Championships in Birmingham. It is great to see so many of the established stars taking part and exciting to see the depth of young talent coming through. "The sport has a very bright future and Birmingham has once again staged an outstanding event." For all of the weekend’s results, head to our dedicated event page.